If you want to experience memorable Tamarindo Costa Rica fishing trips you are in the right place. In Tamarindo, we work with seven licensed captains and their crews. 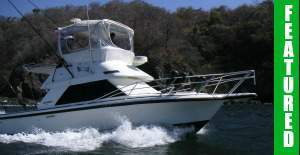 All captains have extensive experience fishing Tamarindo. 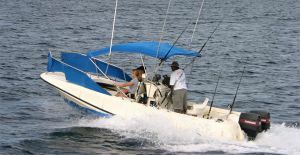 Our Tamarindo Costa Rica fishing charters provide a high quality fishing experience for people of all ages. All fishing gear for each angler is included in your charter price! Where and when? It depends of which boat you’ll choose. 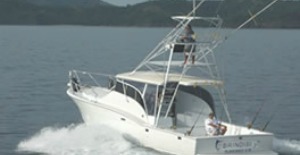 But in generally all Costa Rica fishing charters start between 7.00 and 7.30 am at the beach. All boats are fully licensed and insured and are ready to provide you and your group a great day on the water. 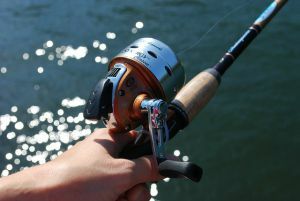 All fishing charters are equipped with the best sport fishing gear. All boats come with full electronics, navigation systems, GPS, marine radios and cell phones. 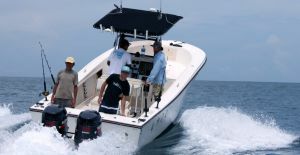 The experienced teams of captains and first mates will make your Tamarindo sport fishing trip unforgettable. They know the fishing areas like no other. 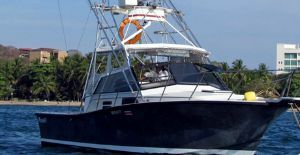 Choose the boat for your Tamarindo deep sea fishing tour, which day you prefer to go fishing, the charter and send us your booking request. 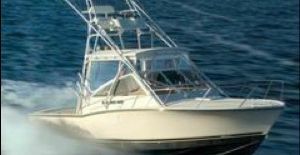 22 ft Boston Whaler – Up to 3 persons | Prices are per boat not per angler! 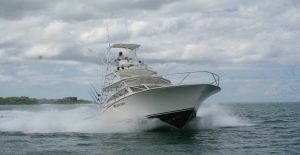 26 ft Boca Grande – Up to 4 persons | Prices are per boat not per angler! 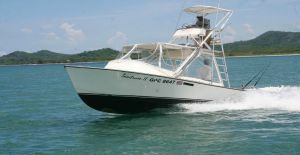 27 ft Escapade – Up to 4 persons | Prices are per boat not per angler! 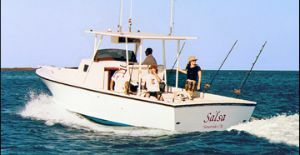 27 ft Dusky – Up to 4 persons | Prices are per boat not per angler! 27 ft Panga – Up to 4 persons | Prices are per boat not per angler! 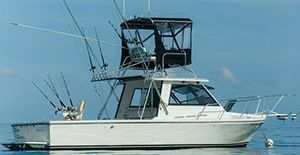 35 ft CR Custom – Up to 4 persons | Prices are per boat not per angler! If you are after specific species it is good to know when to come to Tamarindo. Our Tamarindo fishing seasons calendar below will give you a good overview when to catch best your target specie. 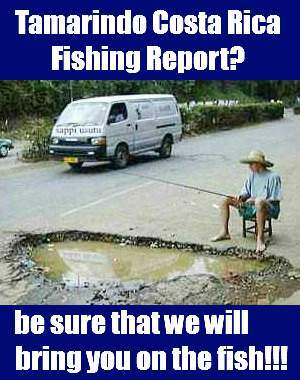 I know that a lot of anglers searching for Tamarindo fishing report. What, if you read that mister X has caught 5 Marlin and 4 Sailfish last week and you today came home with 1 Dorado? What is this Tamarindo Costa Rica fishing report worth? I think it is better we bring you on the right boat with the right captin, who try all to bring you on the fish. Looking for a Tamarindo fly fishing trip? You’re also in the right place. 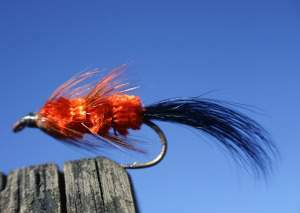 We can recommend a few boats with very experienced crews in fly fishing. I think you will have a lot of questions about fly fishing Tamarindo Costa Rica. So the best way will be you send us your inquiry here: Contact us. 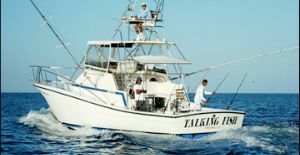 We will answer your questions in short time and arrange the best Tamarindo fishing tours for you. Service is our greatest strength. And fast support. We are glad to help you 7 days a week. 365 days a year! But also we have to sleep like you. You can expect a quick answer between 9am to 8pm (Costa Rica time). Fishing Tamarindo Costa Rica is a broad topic. 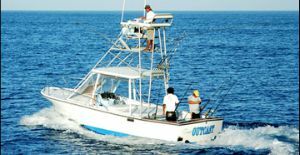 For you nearly impossible to figure it out what the best deep sea fishing Tamarindo Costa Rica trip will be for you. 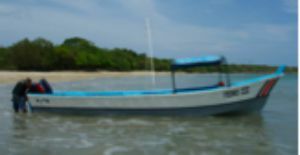 Use our knowledge to book all kind of fishing in Tamarindo Costa Rica tours. 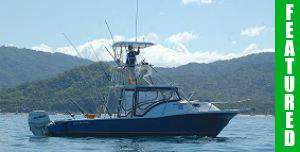 Save time and money with our pre selection of the best Tamarindo fishing Costa Rica boats. Best does not mean that we try to sell the most expensive tours. As you can see in our fleet above the order is arranged according to the size of the boats. 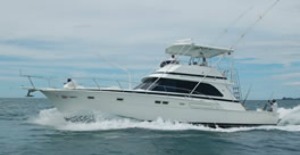 Our goal is to find the right Tamarindo fishing charter for you. Even if you have a budget and looking for an inexpensive boat for a half day tour. We are here to help you out. 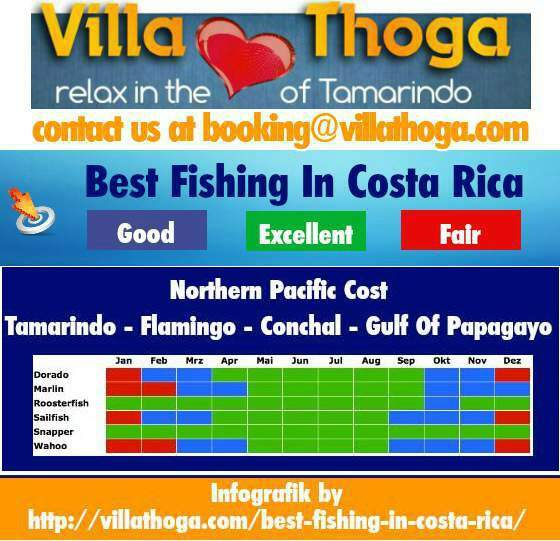 Go ahead and book Petro’s fishing tours Tamarindo. This guy has really affordable prices. His boat (27 ft Panga) is not a big one and only to recommend for inshore fishing. But he charges only US$ 60 per hour. By a minimum of 5 hours. 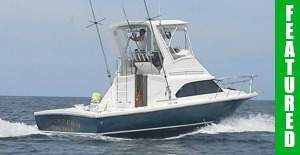 So you can do a half day sport fishing Tamarindo Costa Rica trip for only US$ 300.00. And your catch will be prepared by his wife. When you want to know what boat we most like to book. 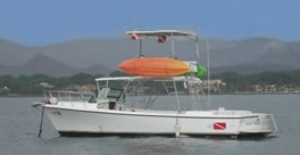 Definitely the kingpin sportfishing Tamarindo boat with captain Pit. Affordable prices, the captain is a real entertainer and will guarantee you an unforgettable day on the water. The boat is the 28′ Carolina. 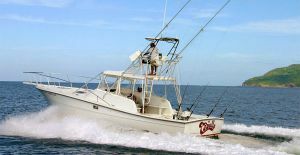 Need more information about Tamarindo Costa Rica fishing? Jason patiently explained every step (bait, lures, currents, lines etc) to my boys & fielded all (so so many) questions with knowledge & good humor. Jason uses circle hooks, so it doesn't damage the fish's mouth. We threw a few back & kept just enough for dinner. For dinner, you have the option of having them cook the fish & it was do delicious. It was a fantastic fishing trip & dinner. We all caught fish! Almost 40 amongst the 4 of us. We caught mostly groupers and Red Snapper. Our hotel Cala Luna's restaurant cooked them for lunch and dinner and it was delicious! They treated us well and we all had a great time! 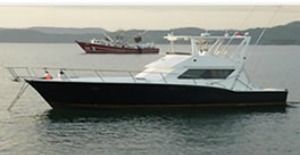 We highly recommend Kingpin II for Tamarindo, Costa Rica sport fishing. Captain Pit and Luis are smart fishermen. They know the waters and have excellent tactics and work ethic. Captain Pit lives and breathes the ocean, and we felt complete trust right away. Luis was amazing. His ability to maneuver around the boat, set the poles and then hook and guide each of us in landing the fish. We were at ease and entertained. We saw turtles, dolphins, reeled in 2 marlin and 1 sailfish...over 600lbs of fish, caught and safely released. The lunch was excellent, the cooler was stocked, and the boat was clean. Captain Pit has fishing in his blood! Thank you for a lifetime experience our family will always remember! Had a world class time fishing with Captain Frank! He and his crew are all very passionate about fishing, and it is very apparent that they want you to have a great time. They work incredibly hard at making sure to get you a fish and provide a very enjoyable experience. Caught lots of sailfish and dorado. Highly recommend!